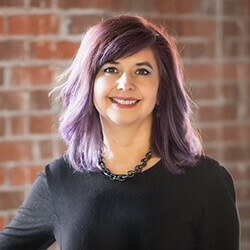 Laura Figueroa Ware is a veteran of the communications industry, with more than 20 years of experience in branding and marketing. As president of Flying Crow Creative, Laura provides consulting services to a range of organizations in the for-profit and nonprofit sectors. Prior to launching Flying Crow, Laura led creative strategy development for Allison+Partners, a global public relations firm. Prior to that, she led the creative team for Frause, a boutique agency primarily serving the Pacific Northwest.